Have you started your first blog, online store or any other type of business online? Want to succeed with your digital marketing and grow your traffic and revenue. While some just have luck in their life and get the ball rolling, but most of us need to build it, structure it, and execute properly to achieve what we set out to accomplish. Traffic don’t grow on trees no matter how much we want it, even growing business from existing traffic can and will be hard at times. So how does one do it? Let’s explain how I usually do it. Using this strategy, I can achieve more hard earned traffic and capitalize it even further. What I do is that I embed each step in my strategy in a framework so that we can hinge everything we do (on the framework) and leverage tactics that improve our chances of actually succeeding. Let me introduce the Cubicle Dropout Framework – a primer on how you could mold your strategy for further success with you business and optimize any efforts in digital- and internet marketing. I look at the key areas you need to look at, supply a complete worksheet to help you get started and over 100 of the best tools I use on a daily basis to build my business. Everything could possibly not fit in one blogpost so this one is a must! Let’s get started with a round-up of the content! No one or nothing in our everyday world exist in a vacuum, there are always externalities that will effect how you will perform in any endeavour you set out to accomplish.This is even more relevant online and when trying to grow your business, most, if not every aspect of what you will set out to do will be exposed to competition. So how do you mitigate a lot of risks while staying on top of your competition? The answer: insight and understanding! Everything starts with your own business! If you are not confident in your own business you need to take a step back and really figure out what defines your reason for existence. 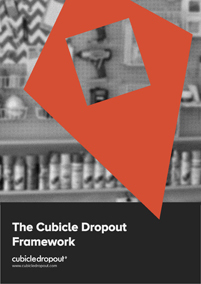 A great to tool to get you started is the Cubicle Dropout Business Pyramid where set of number of levels need to be clearly defined as they will dictate further work, always be an integral part in your communication, dictate what tactics you use and how you optimize each tactic. With an insight into your business and it’s actually idea we need to move on to the next part of the framework. 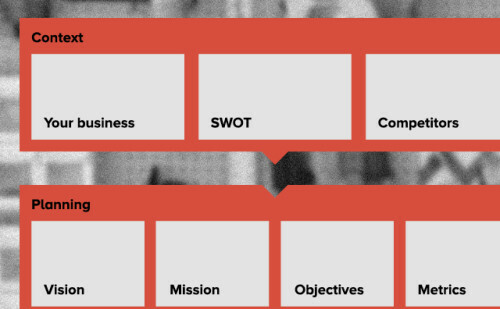 The SWOT. A SWOT, short for Strengths, Weaknesses, Opportunities and Threats will give you insight on where you need to improve but most of all, where you will have the ability to shine (strengths, opportunities). Be honest, look at yourself and you business. The more honest you can be the more you will gain in the long run as an SWOT will help you avoid the pitfalls that you should have seen coming. For last in the Context section we need to take a look at our competitors. Based on you business (and possibly the SWOT) and ordinary research you will by now probably identified 4 or 5 key competitors that probably excel in that they are doing. You need to tear these competitors apart. If they are doing something right you need to analyze what and what you can improve. Analyzing them is all about finding out about how they go about doing business, how and why they do as they do. Insights from your competitors will give you the tools to adapt your business and your marketing (and any other key findings) to you situation and your goals. This will give us the ability to cut our own piece of the pie. Hopefully, you will have found a piece that no competitor contends at the moment, making you unique in the herd. We have now gathered some of the important data that can help us move on into the next phase of building or framework, planning. In this phase, we will start to plan the path to success, putting important aspects in print. We will start with a clear and solid foundation and from there we will anchor more specific tasks that help us move into the last phase which is, in many ways is the most extensive. First of we need to establish a clear vision. While we have taken a look on our business from outside in perspective in earlier sections this part is about finding out what we want to achieve. Our vision will pertain to our business and it will dictate what resources we need and what tactics that is needed. We need to find out how our business (and it’s marketing) can change the world and it should dictate it’s direction. A laser targeted vision will help us clearly define where we will be in a longer perspective, the future. It is bold, fairly specific and every planned activity should drive this. It’s your dream and ideal condition for your business. Next we have to establish a mission with running our business. It should state the actual purpose of launching your business. We define our mission by defining audience, ways of reaching, communicating with the audience and desired outcome for said audience if they honor our business. Defining our mission requires insight into audience and therefore audience and research may be needed to be done at this point if the audience is seen as very explicit. We have now established our vision and our mission. But what takes us there and what drives our business? Next step is to actually decide on what we need to do to achieve those in such a way that it supports our business and marketing. We have now reached a point where we can start to think about what we need to do to achieve our vision and to fulfill our mission. What are the main digital objectives we need to accomplish? Objectives are real and tangible activities and supported by what visitors carry out on our website how that drive our business. Always make sure objectives are SMART and that both you and your visitors gain from them, whether it be publishing content, visitors reading your content, purchasing your products, subscribing to your newsletter, sharing your content, interacting with your community or clicking on the right links. So you started working with your objectives. Now what? We’ll probably not reach most objectives in at least a few months time. But how can we gauge their success until then? Are we doing the right things? This is where metrics comes in. They can help you report progress and help us in any decision-making pertaining to activities we have done and will do. Any investment, whether it be time, money or any other resource should be tracked with a clear metric that give you a full view of how our objectives evolve. Always make sure your metrics is comparative, understandable, behavior driven, doable and beneficial. Phew! Kidding aside, the work we have done so far, is as important as it gets! Now, let’s get into getting the ball rolling, time to execute! We will now collect necessary information on our audience, try to attract the right visitors, convert them, retain their interest and optimize every part that we possibly can for further success. With your context and planning set it’s time to move into the hands-on and operative parts of the framework, starting to attract visitors (the right ones) through various channels. Before we move on with the nitty and gritty we need establish our audience and develop personas that we can talk to. Their profiles, concerns, objections and goals are what will drive our content communication, channels, and voice. Being able to work with well-defined audiences and personas within each audience is critical to both short- and long-term success. If you don’t tailor messages to fit a given audience they will be more likely to ignore you. 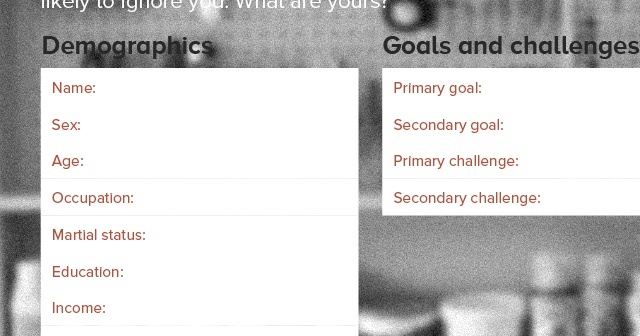 Take a close look on the demographics, goals, challenges, fears and objectives. With a clear audience defined the next step is to develop great content that can be an integral part of our marketing. The goal of quality content is to drive and help grow the objectives established. But, and this is an important but, the content should always be tailored in such a way that we put the consumer in focus. This means that the content needs to be informative and fit the need of your audience and their personas. Always tailor aspects such as (your) goal of the content (leads, awareness, retention, service, education etc. ), purpose for the reader (inform, teach, inspire, opinion etc.) and make sure it of high quality (well-researched, original, actionable, illustrated, shareable etc.). Next step in attracting visitors in selecting the right channels. As a first step you should always look at your audience and identify where they are in their process of acquiring your product or service and how likely they are to be in a buy mode and what channel they use at that point in time. Each channel will have a different impact on the customers current position in the funnel. Find the channels and the order that they drive your visitors closer to your main objectives and conversions. Look at how your competitors work and emulate and improve. In this case, these tactics are nearly all different ways of driving traffic, whether it be SEO, PPC, social media or e-mail. Each of them is a completely different beast and require your full attention and dedication for great success. None of them are short term investments and value will materialize in a different phase. Learn more about each channel in the full PDF. You got visitors, now what? Once our visitors have arrived on site it is extremely important that all aspects of their visit is as frictionless as possible. Any frustration, lack of information, unclarity or otherwise impeding aspects of the visit will without a doubt impact conversion rate of the website. Therefore, a solid foundation needs to be set so that any friction is handled and that any metrics that impact conversion is improved over time, thus the need for conversion rate optimization. Conversion rate optimization is all about meeting your visitors needs and being as clear as possible about what they need to achieve or do once your website. Can you consider yourself a trusted source? Can a third party verify your claims? Are you credible? For many this means being an expert or someone in the spotlight with an established reputation and authority. While they are great signals to your visitors you will get far with an introduction, a direct ways of communicating and a real face, an identity, to attach to the website. But you can also work with your real face, testimonials including customer logos, trust seals, contact information and guarantees to convey trust. Stack them on as you grow your business! Is the content of the page where we want our visitors to convert related to what they thought they were going to see when entering it? Of not, frustration will grow. Use relevant content, terms, vocabulary and communication in a consistent way to ensure maximum relevance for the intended visitor. You will have to communicate what’s important to them and how they perceive your product or service. Is the visitor clearly informed that he or she need to act immediately? With urgency elements such as offers, deadlines, dates and countdowns we can instill, if not preexisting, a sense of urgency in the visitors, that they need to act promptly. Clarity is very important when working with your website. Value, benefits and most importantly call-to-action need to be very prominently displayed. Everything from navigation, design and content needs to be clear and lead the visitor through wards the goal set on the page. Copywriting – Copywriting is on a key skill needed when working with conversion rate optimization. Awesome copy helps your users grasp your information and offer. Great copy also draws attention without hyperbole, it’s clean, sets clear objectives and goals. Experimenting / testing – never fear experimenting and testing while working with conversion rate optimization. But, and here is the very important one, base your experiments on knowledge and qualitative data. If you have data at hand you can and should test always test key (new and the old) elements of your website in an ongoing manner. Never base your experimenting and/or testing on gut feeling or someone’s opinion. Growth hacking – While at the moment being a trendy catchphrase growth hacking is about creativity, analytical thinking and tools to improve business, conversion, retention and exposure at a lower cost compared to traditional method that often involve buying expensive media. Growth hacking is about trying to find and test solutions that may seem out of the box but can help you gain more visitors, followers, and customers. Building a solid and long lasting relationship with visitors and customers is key for longevity. However, achieving a long lasting relationship in the digital marketing takes more than just supplying an outstanding product (which of course, is key too). So what defines a good relationship and how can we build one? A key aspect of improved retention is making yourself available for a continued conversation once visitors have arrived and initiated a conversation. Always be on call to helping your visitors when needed! You should always make it easy for your visitors to voice any opinions they might have in connection with your content. Communication cannot be one-way. E-mail – E-mail as a medium for visitors retention is one of the most effective ones. It can be a very personal medium where you can supply your users content and quality knowledge directly to the visitor in an ongoing fashion. Focus on providing value and minimize sales/marketing. Connect – Always try to get your visitors to connect with you or your brand in as many channels as possible.Have them on your newsletter, have them like you on Facebook and follow you on Twitter. This way you will always be front and center if their use of medium shift over time. Once you have built some steam and have your visitors pouring in its time to start analyzing and optimizing. It’s time to look at some data, figure out what works, scrap what doesn’t and test the things that need to be improved! A big part of your efforts running your website online should include allocating time for you efforts to analyze what is actually happening on your website find any and all solutions that can improve your desired outcome. First step is of course to install and properly configure an analytics suite that suit your needs. Most would tell you Google Analytics is the right way to go, and I’m obliged to agree, but you should know that there are some very good alternatives out there. Metrics – what metrics can we tie to our goals to be able to quantify progress. Once your date is verified and you are confident that it’s correct it’s time to start analyze, optimize and implement. In general you will now enter an iterative process where you have an end goal of improving your website. Usually, your process will look like below and include all the necessary steps that you need to go through to achieve more value. Surveys – Tho sometimes heckled a well-executed survey can drive copious amounts of insights on your visitors, behavior, and need. The right questions will give you insight into what goes wrong and where the user experience friction. Session playback – Want to know what your users are actually doing once they visit? Use session recording. Session recording helps you track how visitors move around the website, see where they move their mouse, click, how they scroll and where they interact with forms, typing. Heatmaps – With session replay being complete movies of how each session move around your website heatmaps can give you insight on where all your sessions combined move, click and scroll. Hopefully, this short round-up of the content in the more extensive Framework-download has given you some ideas and most importantly inspiration on what is possible with just a little bit of structure in once work! To get the whole package, including the complete workbook, the worksheet, the bonus tools list just leave your e-mail below and I will send it to you straight away! Thank you for reading, and please leave any questions in the comments below! I will answer them straight away!